Whether you’re building a new house or remodeling your current property, take advantage of the opportunity to create an energy efficient home. A simple way to achieve this is to use greener alternatives to standard building materials. Although some materials have higher upfront costs, you’ll save on energy usage and start saving money after just a few years. Plus, an energy efficient home is more appealing to potential buyers, as it prevents the new owners from needing to make updates. This increases your property value and may shorten the time your home is own the market. 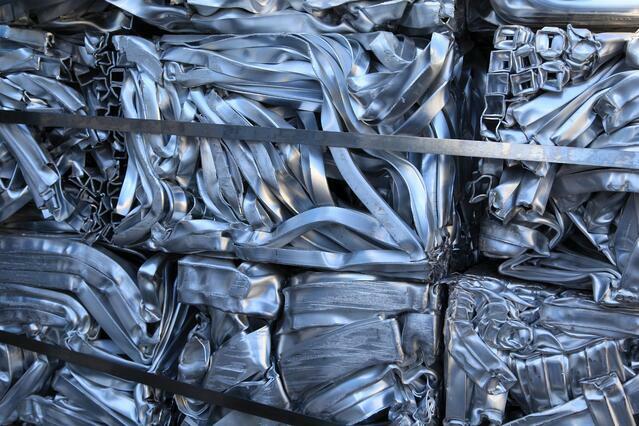 Steel is the most recycled material in the world. In other words, there will be no shortage of this material for your project. A top place to use recycled steel is in the place of lumber wood beams. Your builders will order the recycled steel beams to your specifications, in terms of both design and durability. For your entire house, using recycled steel beams means that, instead of using the wood from 40 to 50 trees, you’ll use the steel from about six scrapped cars. There are also other benefits of steel: it uses less energy, contributes to less CO2 emissions, and offers stronger protection against high winds and earthquakes. Another way to avoid lumber is to opt for insulating concrete forms. These concrete walls fit between two layers of insulation material. Builders pour the concrete straight into the space between the insulation, creating a permanent structure. The technique is possible both for freestanding walls and building blocks. You’ll save as much as 20 percent on energy costs compared with lumber. 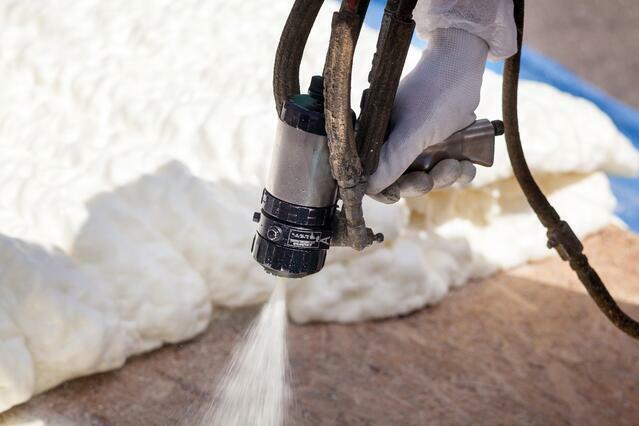 For the insulation material surrounding the concrete forms, choose spray foam. Whereas traditional foam insulation is made from fiberglass or cellulose, spray foam is plant-based. It tends to be made from bamboo, hemp, or kelp. This is much greener and leads to no harmful emissions. In addition, it is much more energy-efficient and lets less climate-controlled air escape, due to its heat resistance. Plus, as spray foam is waterproof and resistant to shrinking, there is no framing distortion over the years and you’re protected from mold and pests. All this means that, once you have insulating spray foam installed, no repairs will be necessary. If you do need lumber in your home, choose composite lumber made from recycled materials. It is likely that you recycle plastics every day — and these need to end up somewhere. You can benefit from them in your own home by building with lumber made from materials like plastic bags. To add strength, choose lumber also has recycled wood fibers. There are a number of benefits of composite lumber. For one thing, it’s more durable than treated lumber. It’s also less toxic and more resistant to mold and rot. Cool roofing uses special materials to reflect light back up, rather than allowing the heat to become absorbed into your home. In the past, these materials had to be light-colored, but now there are darker materials available that are just as effective. This is one material that has high initial costs, but it is ideal in hot climates. 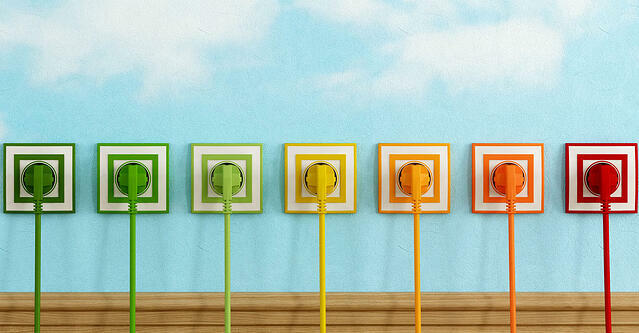 You’ll quickly regain what you invested and, with the significant reduction in energy usage, even save money. Low-E (for low-emissivity) windows offer optimal energy efficiency. They feature a metallic coating on the glass that keeps conditioned air inside. Low-E windows are available as both double-pane and single-pane windows. For double-pane windows, there is a soft coating between the layers of glass, whereas for single-pane windows, there is a hard coating on the outside of the glass. 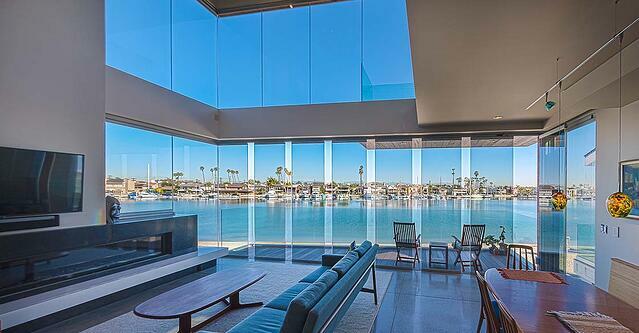 There’s no need to stop limit Low-E technology to your windows; you can also use Low-E glass for frameless glass doors. This will enable you to create a connection between the interior of your home and your yard without sacrificing the energy efficiency of your property. Bamboo is fast becoming one of the most popular building materials for its green characteristics and versatility. It is free from volatile organic compounds (zero VOC) and it’s a highly-renewable and sustainable resource. Plus, builders like working with the material, as it is just like using hardwood or laminates. You can use bamboo in a variety of places in your home, including for flooring, cabinets, and wall panels. It creates an attractive appearance wherever you use it. Consider how to incorporate as many of the above materials as you can into your construction or remodeling project. This will help you create the most greenhouse possible while improving comfort, lowering your energy bill, and increasing the appeal of your property. Want to see our gallery of energy efficient frameless glass windows and doors?